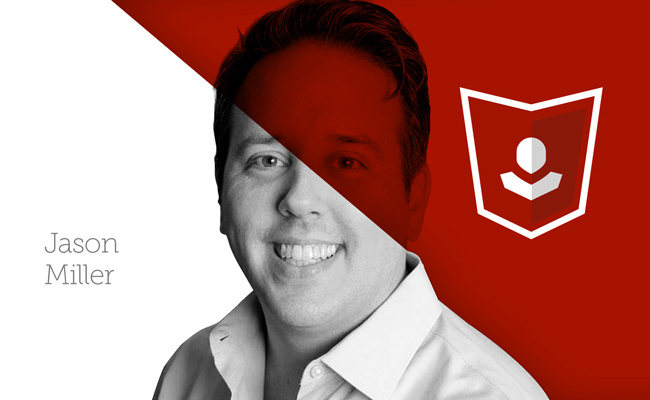 Congratulations to Copyblogger’s Brian Clark and Robert Bruce on the New Rainmaker podcast. Episode 1 was so compelling that I almost walked into oncoming traffic on my walk to work the other day. Episode 2 made me even more of a believer, though perhaps even less safe. In anticipation of the forthcoming Rainmaker Platform, Brian asked me to write this article to offer some ideas about promoting it on LinkedIn. While certainly savvy, today’s “Sophisticated Marketers” still have a thing or two to learn about using LinkedIn. Namely, how to take full advantage of its brand new functionality. At the moment, Copyblogger’s Company Page aspires to be all things to all people, but now it can be all things to specific groups. Segmentation station. The Copyblogger Company Page already has over a thousand followers. You can segment those followers by setting up Showcase Pages designed to engage distinct audiences in distinct ways. Tell more stories. Copyblogger Media has multiple offerings (StudioPress, Scribe, Synthesis, Authority, and now New Rainmaker), all with distinct brands and audiences. Showcase Pages can be used to extend the presence of each of these brands and create separate social platforms that embody those brand stories and identities more fully. For an inspiring example, take a look at what Adobe has done with their Creative Cloud and Marketing Cloud Showcase Pages. Most marketers know the importance of including Follow links on their website and blog. But many don’t know that they can also create targeted Follow Ads to build specific audiences on Company Pages and Showcase Pages. These personalized messages appear on the home pages of select audiences and invite them to follow you. Once they do, their new status is shared with their full network, which is another powerful means of boosting your audience and your credibility. When HP ran a Follow Ad campaign to engage senior decision makers in various industries, it increased followers by 300,000 over a two-month period. In fact, HP was the first company on LinkedIn to hit 1,000,000 followers. Follow Ads help you make sure your followers are also potential customers. They help you cultivate relationships with high-quality audiences through their news feeds. When they’re ready to explore business relationships, they can find you easily. If you’re a Copyblogger fan, you’re probably familiar by now with LinkedIn’s native advertising offering, Sponsored Updates. It’s a great way of reaching beyond your followers to start conversations and build authority within additional LinkedIn members’ news feeds. I’d just like to press home one key point about Sponsored Updates, which the New Rainmaker series embodies in full: We aren’t papering billboards here; we’re relating with people. Because you can track impressions and engagement metrics in near real-time, each Sponsored Updates campaign quickly teaches you about your audience. You may just as quickly decide to tighten, or broaden, your target pool and increase your results. You’ll find your campaigns may prove so successful that you run them longer. For this reason, LinkedIn makes it easy to fine-tune campaigns while they’re in progress. You never need to feel like you’re driving past a digital billboard about your company that has lost its relevance (shiver). In other words, build your audience — and deploy the power of that audience to make it rain. Jason will be a featured speaker at our content marketing and networking event — Authority Intensive — taking place May 7-9, 2014, in Denver, Colorado. The show is sold out, but stay tuned for details on next year’s Authority Intensive. Jason Miller is the Senior Manager for Content and Social at Linkedin Marketing Solutions by day, and a rock and roll photographer by night. Get more from Jason on Twitter, Google+, and LinkedIn. One of my favorite quotes is “Communication–the human connection–is the key to personal and career success.” (Paul J Meyer). Listen to what your audience wants and then give them the content they have asked for. Its that simple… ! Excellent post, Jason. Super helpful. Thanks so much for this post! I never knew HP reached 1 million followers first on LinkedIn by a Follow Ad campaign. You learn something new every day! I have so much to learn on LinkedIn. I can see the potential of the site, but it’s a completely different ball game to the other social media sites I operate on. Great points! The best way to promote on LinkedIn, in my experience as the #1 LinkedIn All Time Top Female Expert and a LinkedIn Top 1% Most Viewed Profile, is to consistently provide value in your updates and in Groups. Done strategically and systematically, it builds your relationship with your audience and makes it easy for them to take the next step with you. I couldn’t have said it better, thanks for chiming in Christine. Much appreciated!